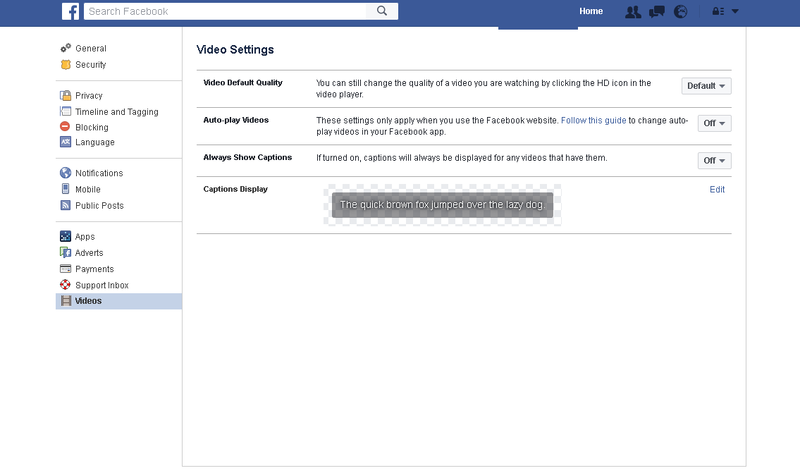 Day by day Facebook is changing its looks, settings adding new functions and making it more awesome for users, but there is another part of this update, which hasn’t been that warmly, welcomed by users. There is yet another Facebook feature that can be quite annoying: video auto-play. Not only do you not always want to see what people are showing, but this also uses up more of the data (if your plan isn’t unlimited) and battery of your Android. Here is how to disable this feature on Android and PC. To do this, swipe to the furthest tab on the Facebook app for Android and tap on App Settings. 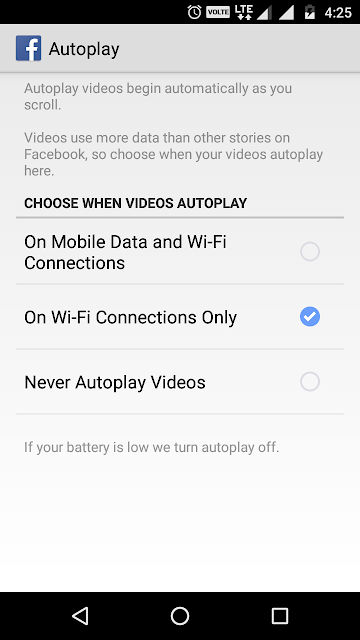 There are two types, one when you want to completely stop video auto play and other when you want to auto-play video only when you are connected to Wi-Fi. 1.If you want to auto-play these video only when you are connected to Wi-Fi then select “On Wi-Fi Connections Only” as shown in below picture. 2. 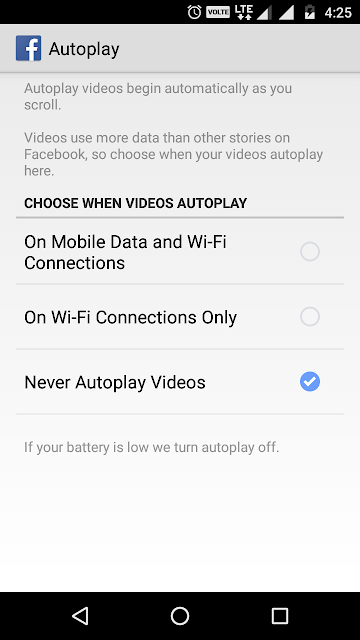 If you don’t want to auto-play these video whether you are connect to Wi-Fi or using mobile data then select “Never Autoplay Videos” as shown in below picture. When on the Facebook website on your personal computer, you can switch this feature off completely, though it won’t affect the settings on your phone. 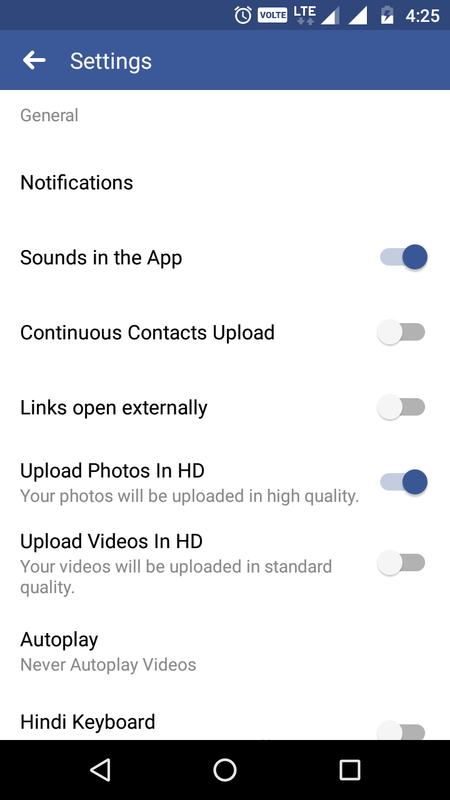 Sadly, the features on the website do not often coincide with the ones on Android, which we discovered with the privacy and security settings for Facebook. 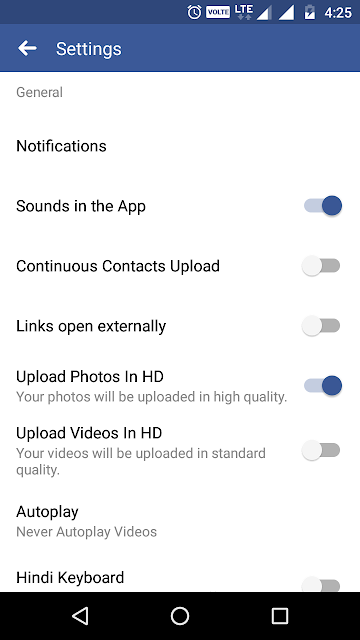 Go to settings, then videos and from the drop down menu, select off. Did you figure it out? What other features do you wish you could disable or Enable?